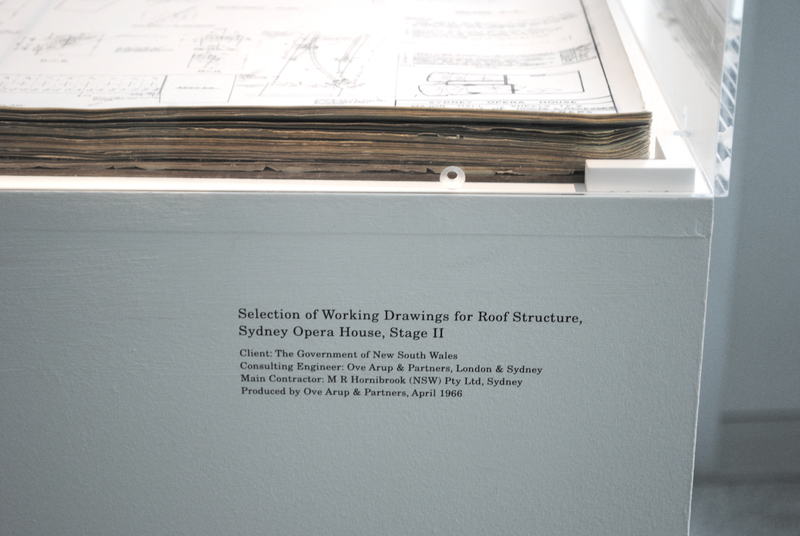 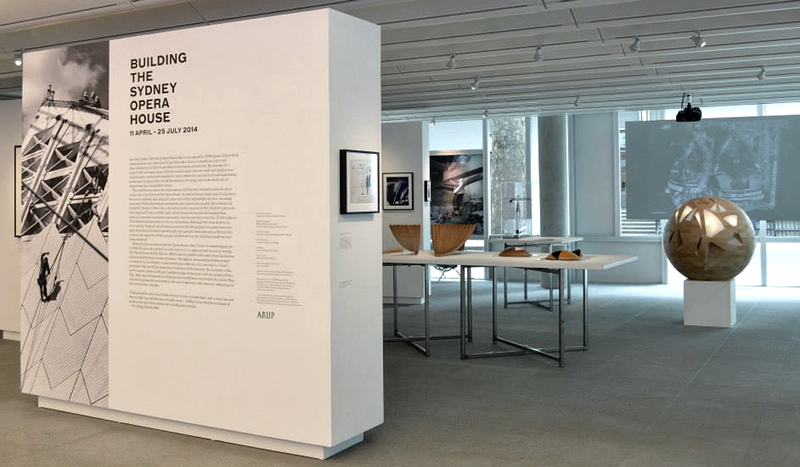 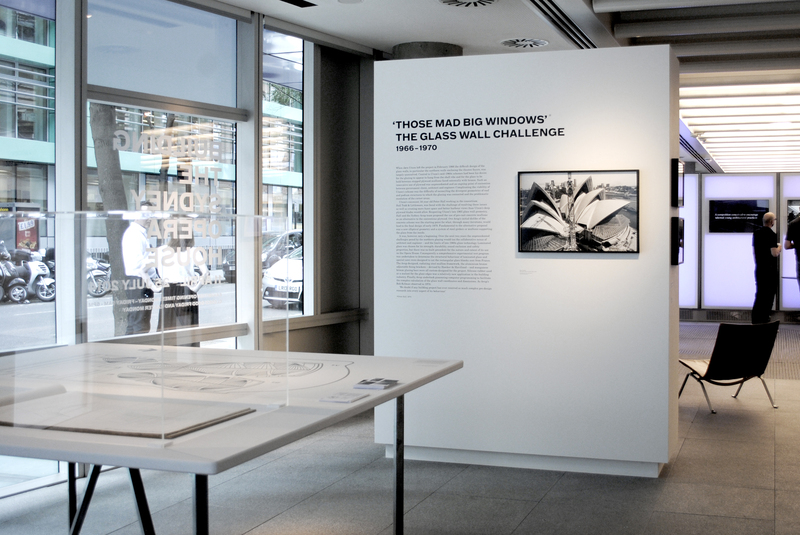 An exhibition at the renowned engineering firm Arup about innovative building and engineering methods used in the construction of the Sydney Opera House. 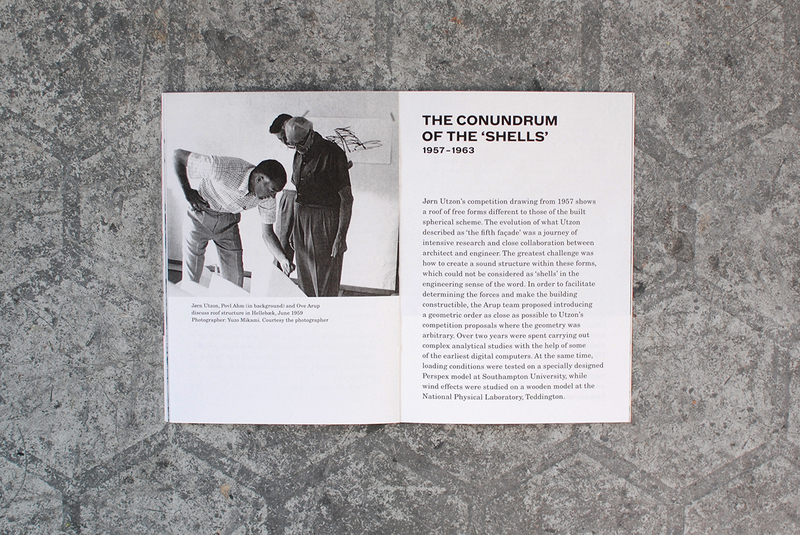 We closely with the event coordinators, curator and spacial designer throughout the process. 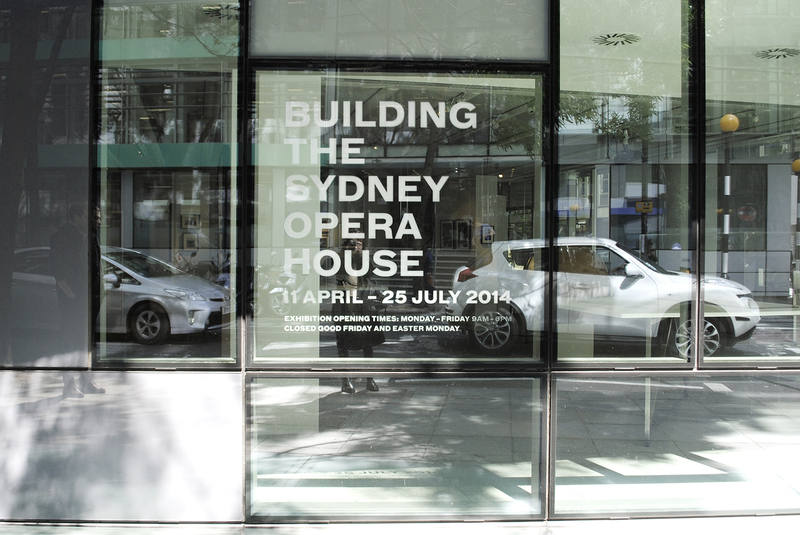 The typefaces used reflect the era the Opera House was built and were found in original architectural plans and blueprints. 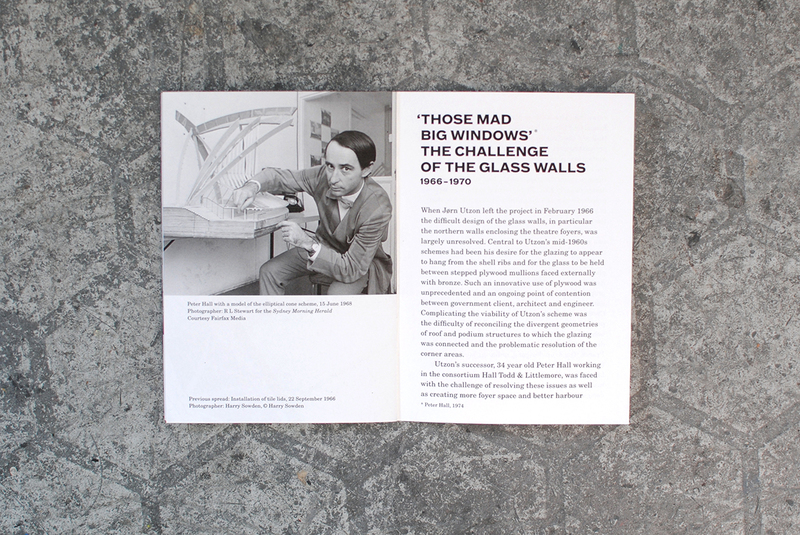 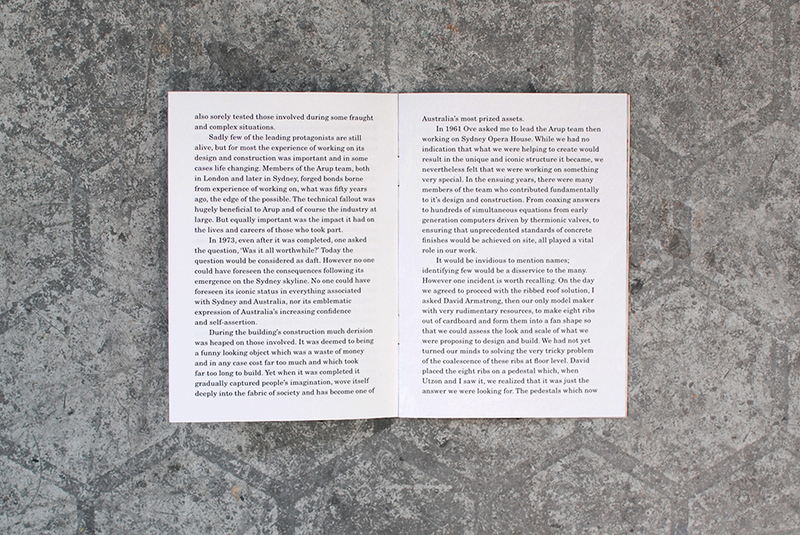 The small A6 booklet given out at the exhibition fits neatly into blazer or shirt pockets and collects the essays for each section of the exhibition, which are also set on the walls. 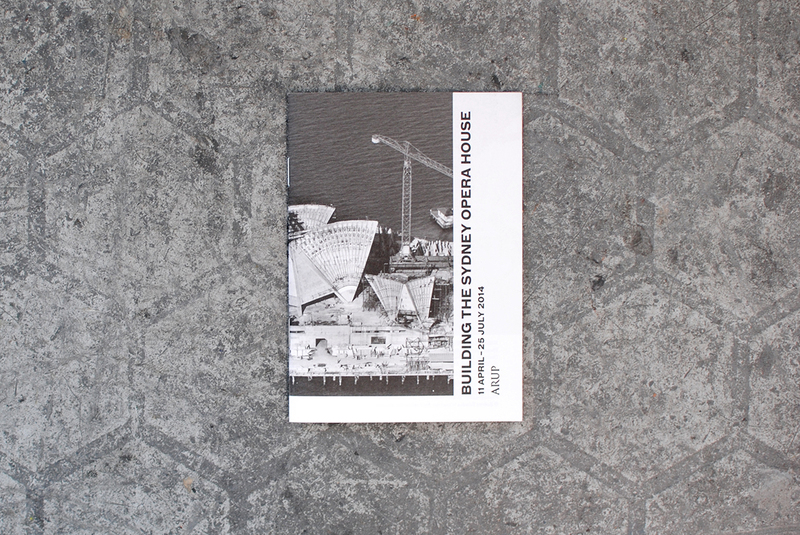 Since all the photos of the construction were taken in black and white film, the booklet is printed simply in black on white paper-stock. 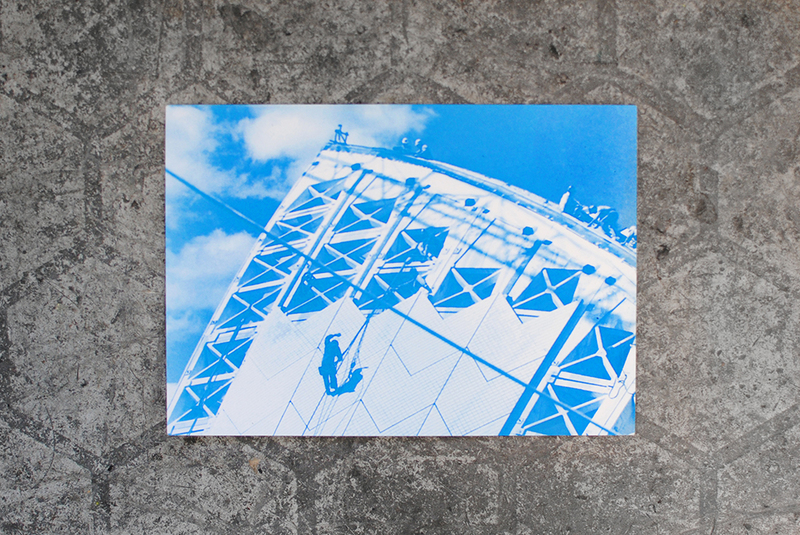 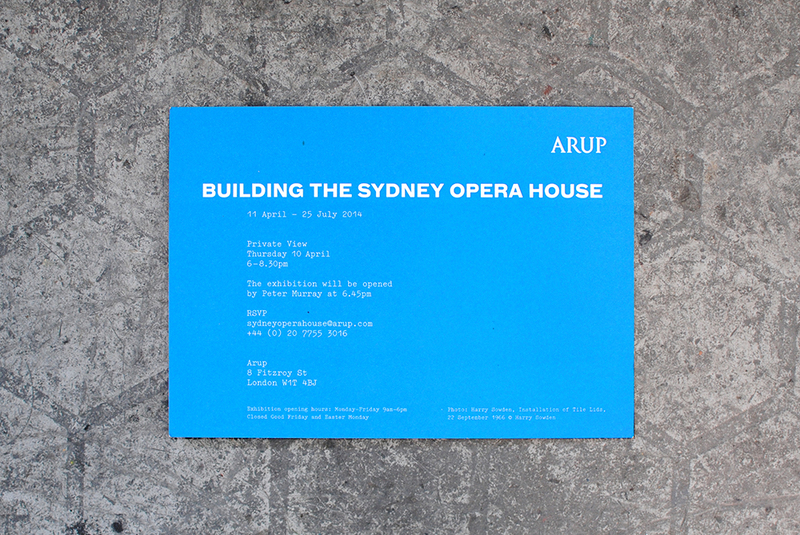 The printed invite was printed in pure CYAN to reflect the idea of a blueprint.